Influencer marketing has become one of the fastest growing methods of customer acquisition in the digital world, but this wasn’t always the case. Not more than a few years ago, influencer marketing was a somewhat vague marketing concept that was primarily reserved for large companies that had the resources and expendable income to experiment and take risks in order to achieve results. Today, influencer marketing has an entirely new face. Businesses of all sizes have discovered how to leverage the voice of influencers to increase visibility and promote awareness of their brand. Some would even argue that the use of influencers has become so mainstream that it’s losing traction as a relevant component of digital marketing – especially as consumers are demanding more transparency and authenticity from brands. So, what’s the truth about influencer marketing? Is it a passing trend or does it possess the staying power that makes it a worthy consideration for your internet marketing strategy? We say that influencer marketing is here to stay, and here are a few reasons why. In the beginning, one of the biggest turn-offs of influencer marketing was the idea that it could only be leveraged by larger businesses. It’s true, the average small business doesn’t have the resources to pay millions of dollars to a big name influencer, but thankfully you don’t need to. One of the goals of influencer marketing is to place a product or brand in a more relatable light. If you can find a person that your audience already connects with and work with them to influence your market’s buying decisions, then you’ve just maximized the impact of your marketing strategy. The influencer concept has evolved beyond just big names. 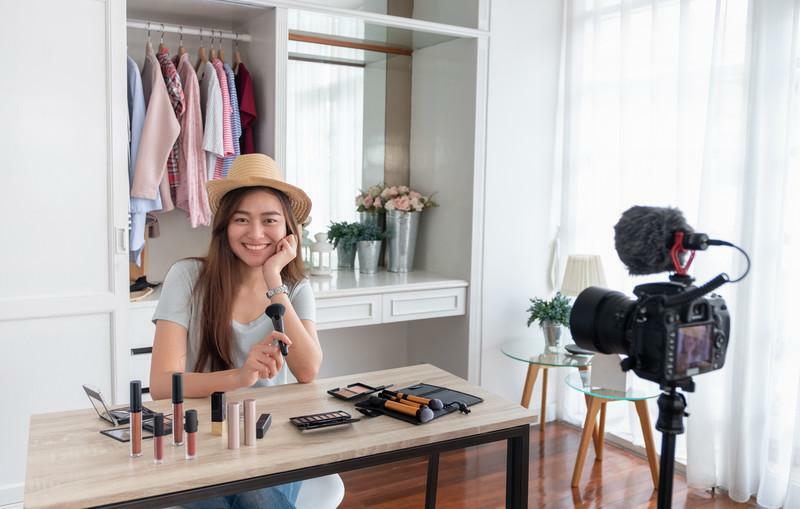 Today, micro-influencers – which are more accessible for small businesses – are incredibly effective at generating interest and amping up visibility for smaller operations. Combine this with the fact that small businesses already have an advantage in forming genuine, authentic bonds with their audience and you can easily see how influencer marketing is leveling the digital playing field between big corporations and local, small businesses. Take a second and do a quick Google search for your general type of business. How many results appear – hundreds of thousands, maybe millions? The internet has become a primary meeting place for customers and businesses, but the space is overcrowded with options and not all of them are legitimate. Customers are aware of this, and they’ve grown more cautious. This isn’t likely to change anytime soon, nor should it. Because of this, anything that a business can do to establish trust and respectability is going to look favorable in the eyes of their audience. Influencers have already accomplished this. When your audience sees that you’ve formed a connection with a respected influencer they’ve already built up a considerable amount of trust it, it instantly conveys that you’re a trustworthy and respectable business in their eyes. Just like consumers are exposed to a practically endless sea of businesses online, businesses are also faced with the challenge of sorting through their audience to find the most highly qualified prospects for conversion. This is a task that many businesses find incredibly challenging. Working with influencers, especially micro-influencers, is an effective strategy for really targeting and narrowing down your audience in order to uncover the segment that’s primed to be nurtured through your marketing strategy. The reason for this is that micro-influencers often appeal to a niche audience. Say for instance that a new medical center is interested in building their reputation through influencer marketing. They might partner with a local child nutrition expert for a series on family nutrition and outdoor exercise. They might also work a local agency on aging to promote healthy lifestyles for the aging population. Two different influencers help this company target in on two very specific niche audiences. Here’s the thing about your internet marketing strategy – you’re never going to gain any traction if you’re not encouraging active engagement. When we talk about engagement, we’re referring to people sharing your content, commenting on social media, leaving reviews and every other way that consumers directly interact with businesses online. The problem with engagement is that it’s incredibly hard to get people to react. They’re bombarded with message after message, video after video and they’ve reached the point where they’re overwhelmed and digitally fatigued. Influencer marketing helps to wake your audience up from their digital daze and get them interacting with your brand. Influencers have significantly more “followers” than the average business. People follow and tune in because they want to know what they have to say. Working with influencers who have already built up the momentum for engagement will continue to be one of the most effective ways for businesses to boost their own engagement and begin forming real, meaningful relationships with their audience. Influencer marketing isn’t going anywhere anytime soon, but this doesn’t mean that you should jump on the bandwagon without a strategy in place. You don’t want to associate yourself with an influencer just for the sake of doing it. Plus, you’re going to have a more difficult time convincing influencers to work with you using that approach. Instead, you need to consider what your goals are and what you’re looking to accomplish from an influencer relationship. From there, it’s about researching influencers who are aligned with your target audience and the core value message you want to deliver. The right influencer provides a great return on your investment – but the wrong one can be disastrous. Are you ready to get your foot in the door of influencer marketing and start seeing what it can do for your business? We’re a digital marketing agency that is ready to develop the right strategy for your business. We know how to power up your digital performance with influencer marketing and other online marketing strategies. Reach out to us at GoingClear Interactive to learn more today.